What happens when you bring eight people from around the world, with serious illnesses, on a one-month healing quest into the heart of the Amazon jungle? Miracles? Disaster? ​The creators of the hit documentary film, The Sacred Science did exactly this and the results were nothing short of astounding. During their fascinating 30 day healing journey, the barriers between each patient's physical health and mental well-being are blurred and eventually eliminated altogether. The ancient system of medicine featured in this extraordinary film reveals the root cause of disease and works from the inside out to create dramatic healing results. These highly effective tribal secrets still exist today, but are in danger of being lost forever. The Sacred Science team is on a mission to bring mass awareness to the medicinal value of these traditions and help preserve these fragile cultures from total extinction. - The root cause of disease that lies deep within us, and how to find and heal it. - Ancient medicines that can be used to cure modern illnesses. - How you can incorporate indigenous wisdom into your life to increase your health and vitality. - Nutritional practices that help to turbo-boost your body's healing power. 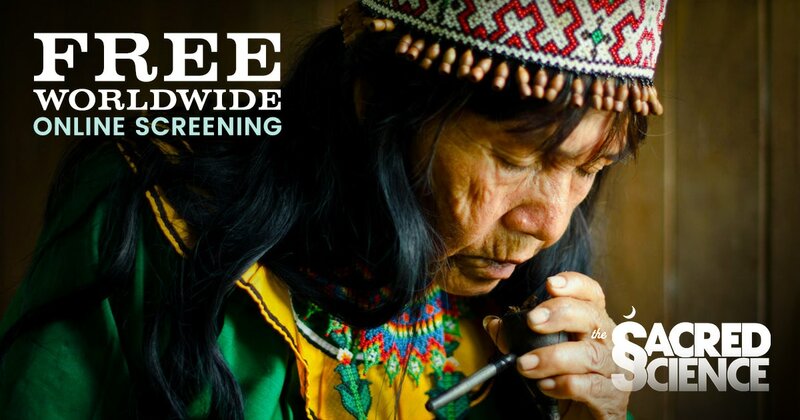 Again, this is a 100% free screening event, so watch The Sacred Science now and spread the word!